Jet ski ban around Cape Town? I've read in a few places that the use of jet skis around the Cape Peninsula has been banned. 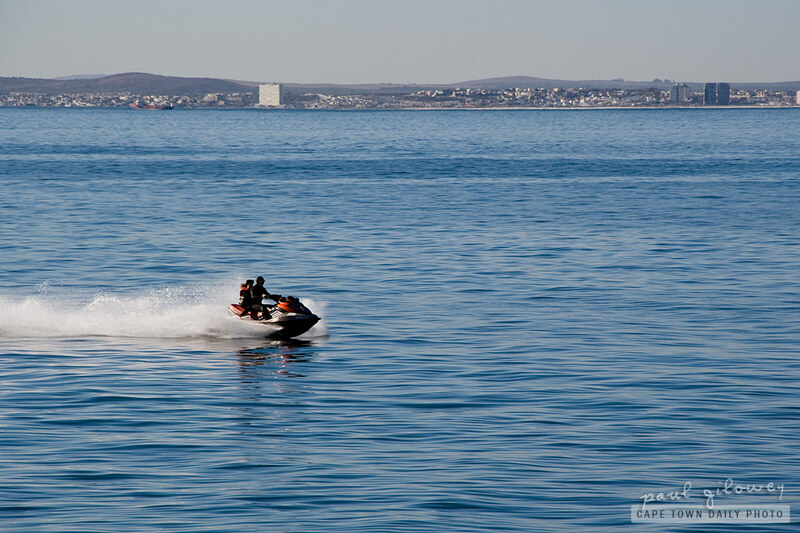 One source mentioned that they're not allowed to be used for commercial purposes and I'm now unsure if the ban is only on commercial usage since I recently saw this jet ski in Table Bay. Do you perhaps know more about this? Please leave a comment if you do! Posted in General and tagged boat, sea on Saturday, 7 May, 2011 by Paul. There is an official launch spot for Jet Ski’s along Table View Beach Front in front of Doodles Restuarant, all authorized by City Council etc. I’d be interested in this ban, I wanted to rent several jetski’s for my mates and I, and when I saw this I panicked! Jetski’s are not banned for commercial use, but are also not allowed from Mouille Point lighthouse to Kommetjie.